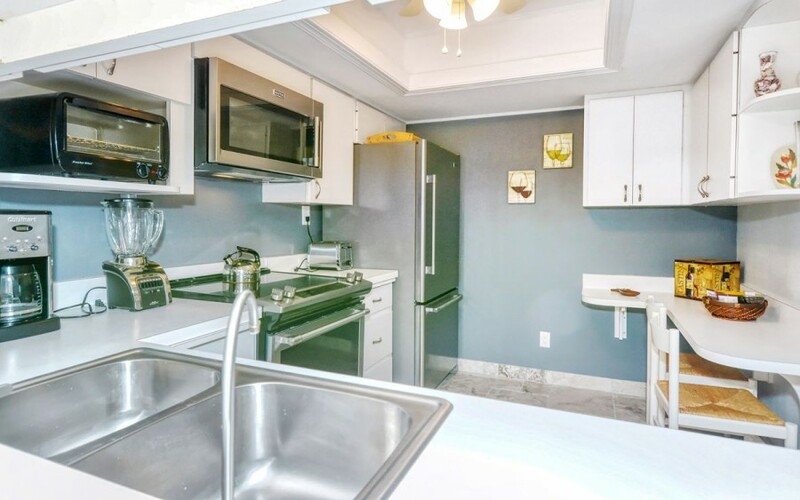 This luxurious 2 bedroom and 2 full bath condo is only steps to the Crescent Beach. The kitchen is fully equipped really is a cooks kitchen. The unit has a combination dining, living space with built in cabinetry, and French doors to the lanai. 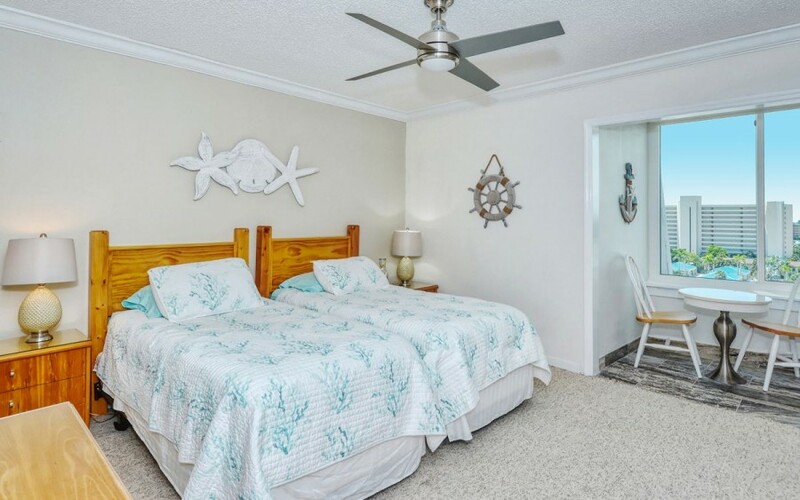 The unit sleeps 6, a king bed in the master and 2 twins in the guest bedroom. Additional sleeping provided with a sofa sleeper on the lanai. The unit is on the 8th floor so the views are just amazing. 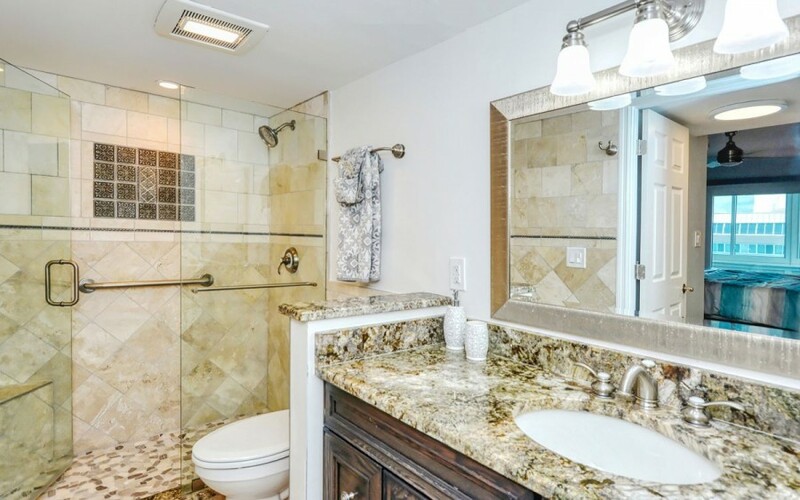 The master bath has a tub/shower combination, Guest bath walk in shower. Assigned covered parking located in the parking garage under the building. Please contact me with information regarding Gulfside Mid-Rise Unit 805F.